This card was originally intended for use in Laos, but this never happened. 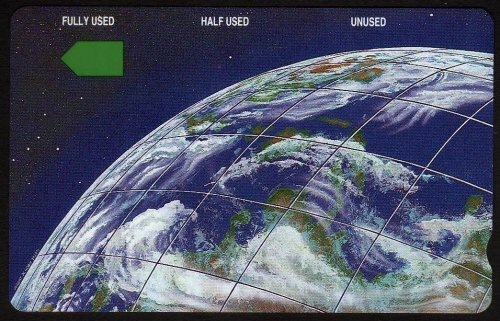 The card was produced in December 1989, at the same time as the first cards for Australia were being issued. 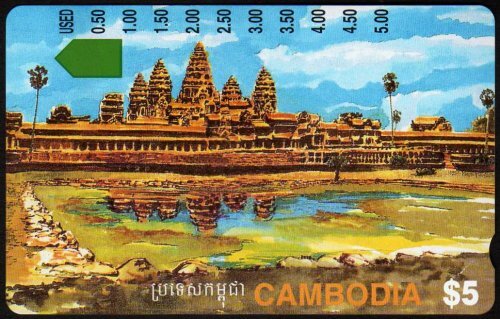 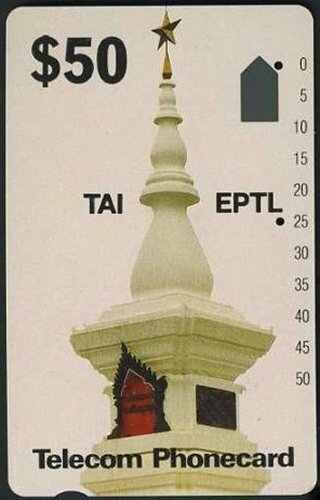 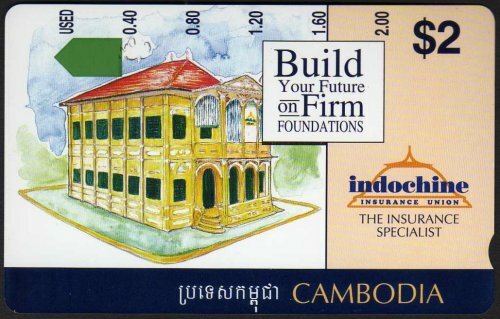 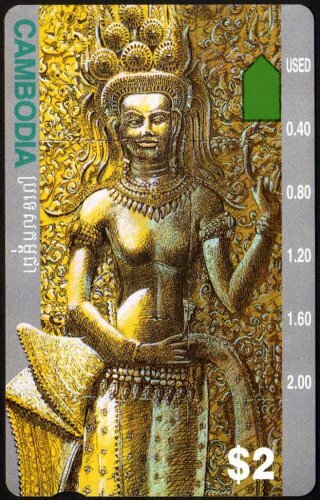 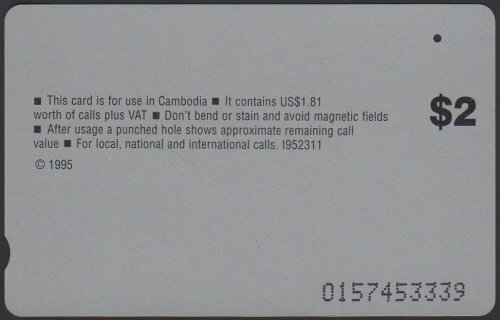 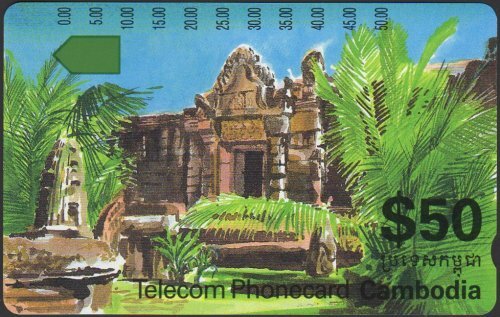 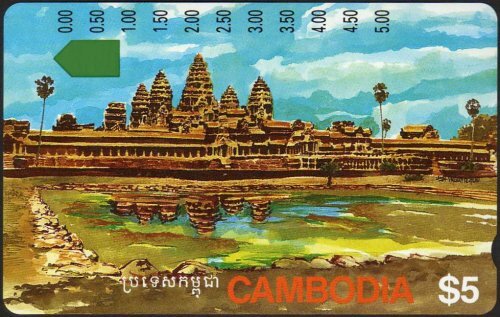 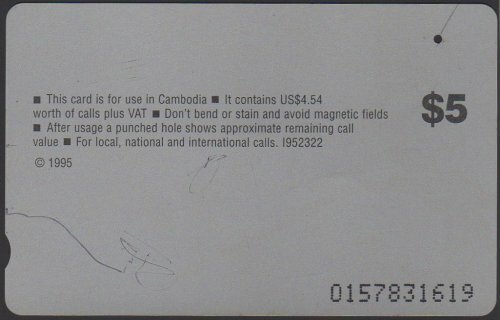 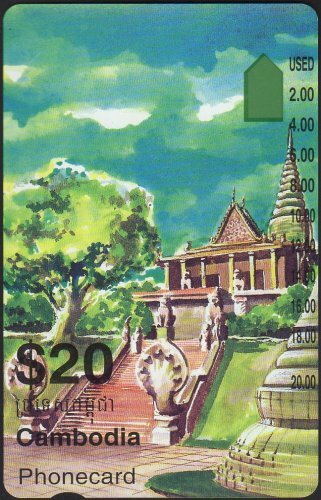 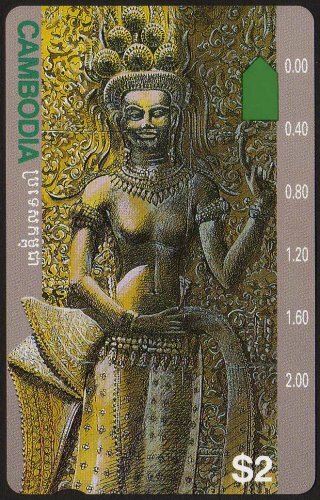 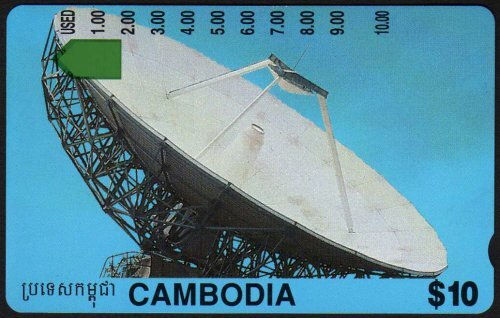 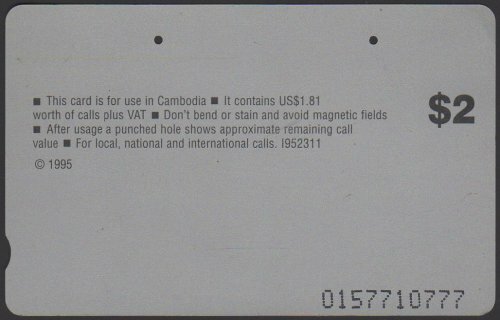 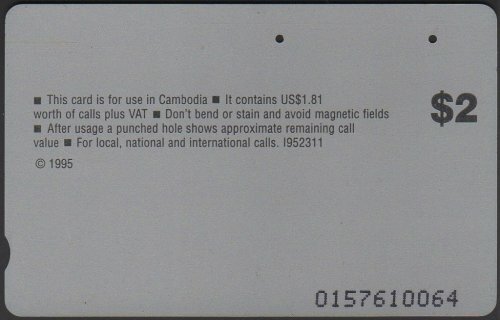 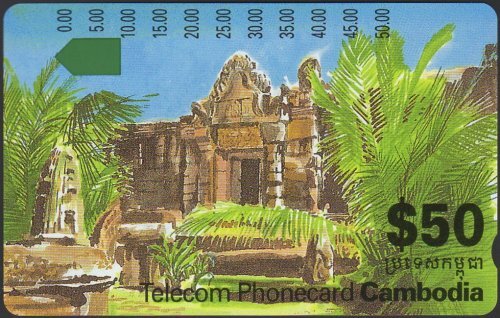 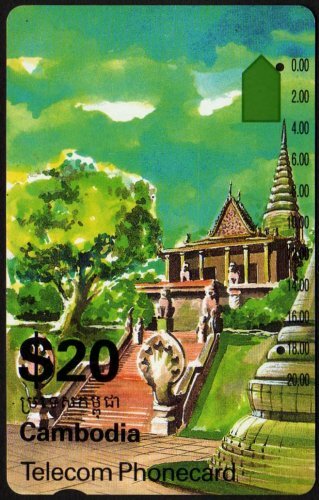 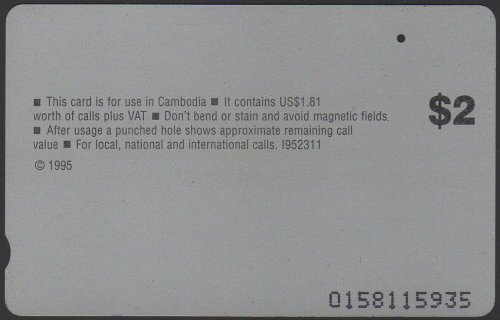 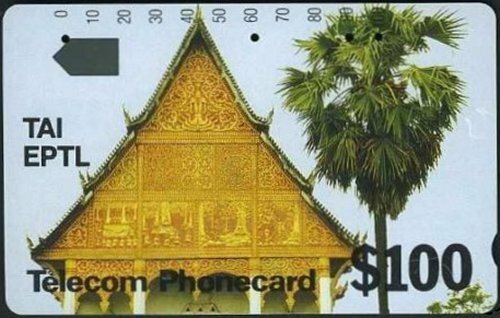 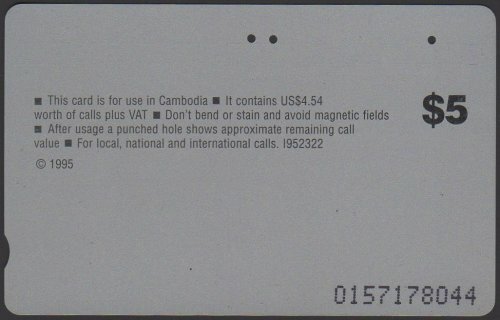 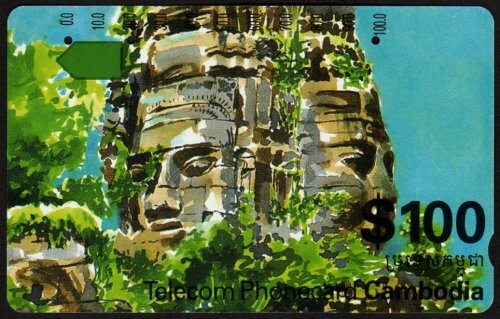 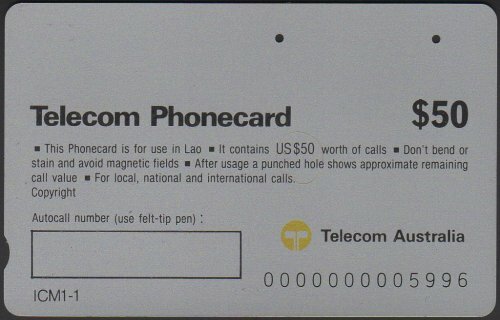 When Telecom got the contract to supply cards to Cambodia, these original Laos cards were used. 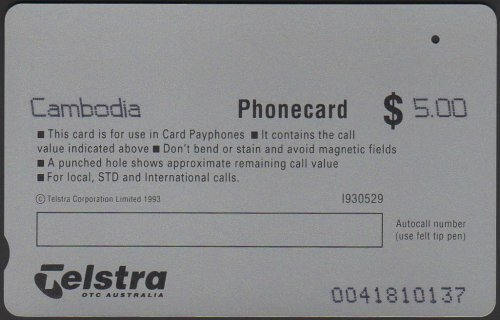 By the time they were released in August 1991, the prefix numbers in Australia were already into the 90's, but it is still a "zero" prefix, just out of chronological order. This card was originally intended for use in Laos, but this never happened. 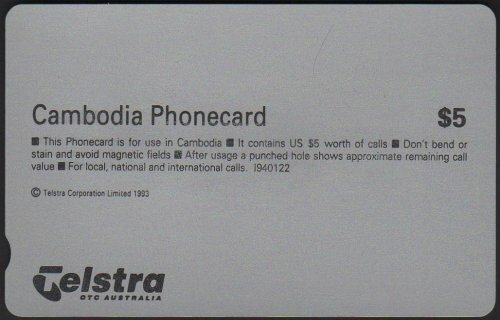 The card was produced in December 1989, at the same time as the first cards for Australia were being issued. 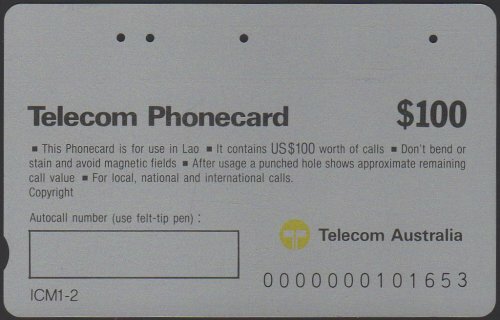 When Telecom got the contract to supply cards to Cambodia, these original Laos cards were used. By the time they were released in August 1991, the prefix numbers in Australia were already into the 90's, but it is still a "one" prefix, just out of chronological order. 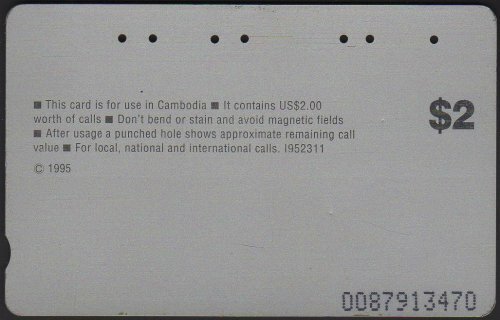 US$100 Idol 191 were also available in the Cambodia Pack. 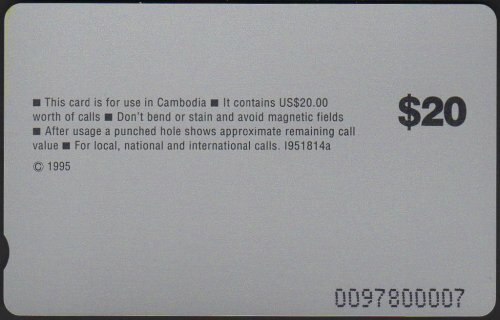 There is a difference on the front of the $50 card. Three of the prefixes have a larger font for indicating the amount of value left on the card, and the other three have a smaller font. 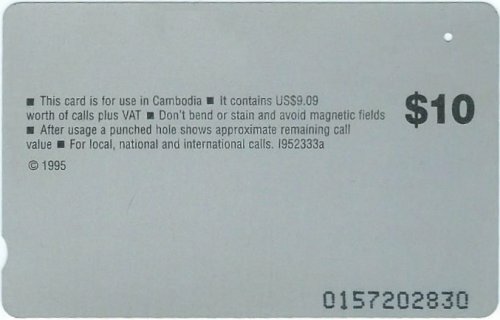 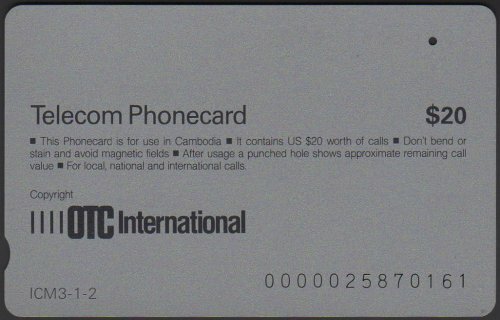 Other differences include the $ sign and the font and location of Telecom Phonecard Cambodia. 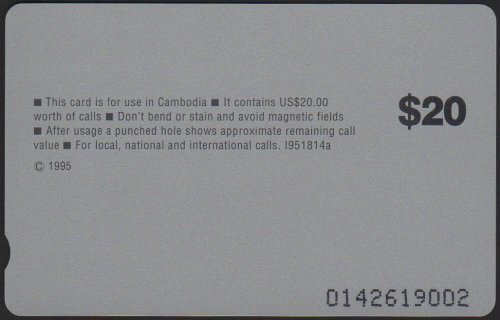 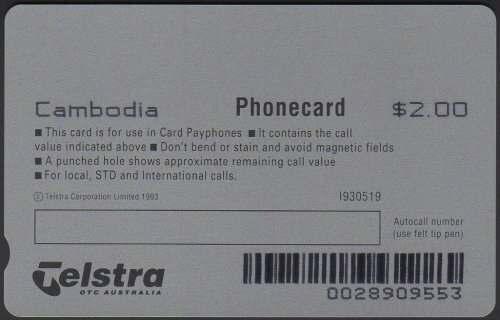 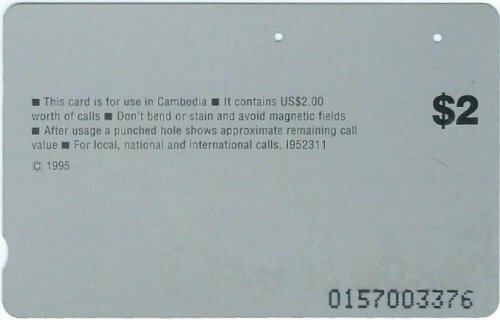 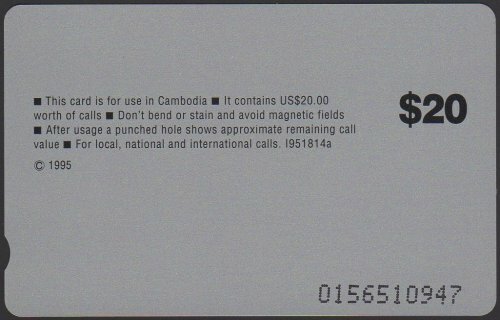 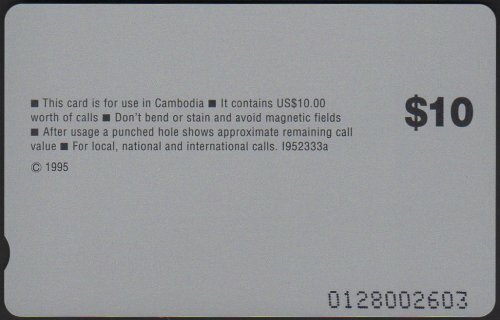 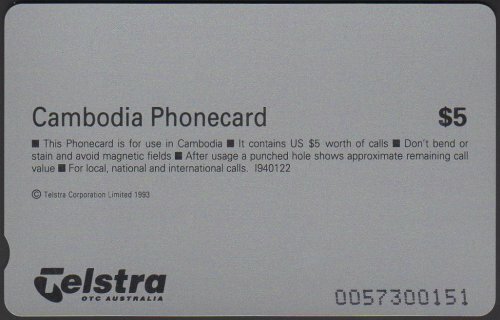 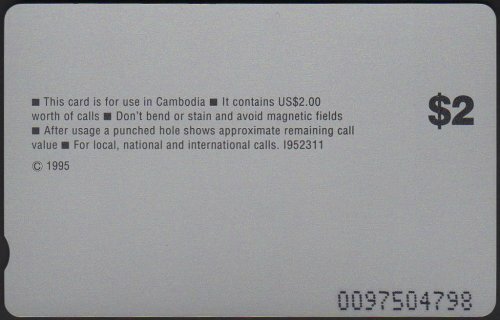 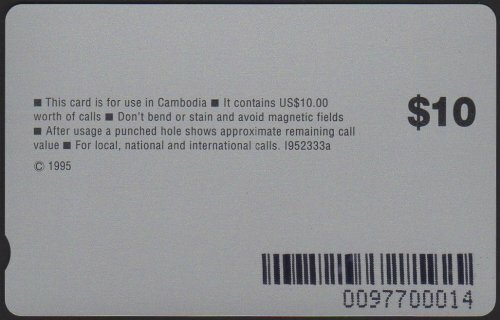 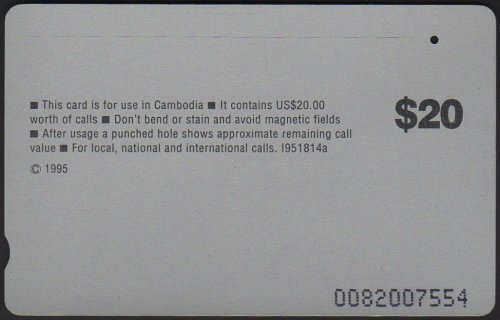 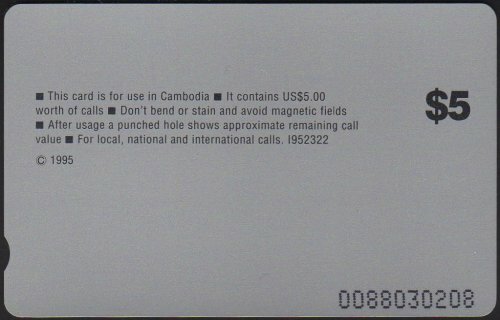 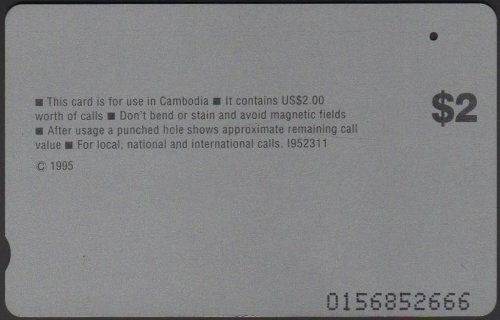 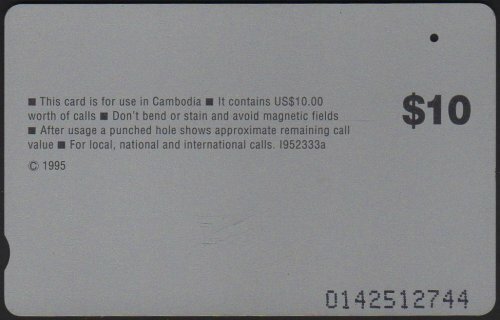 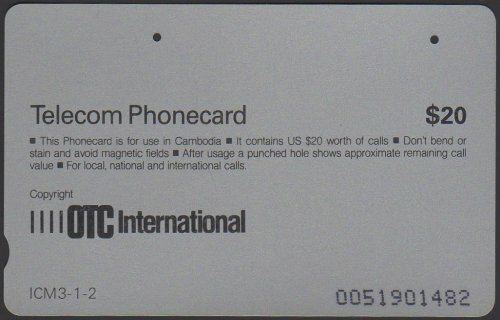 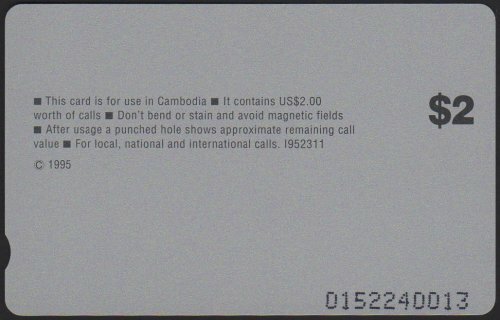 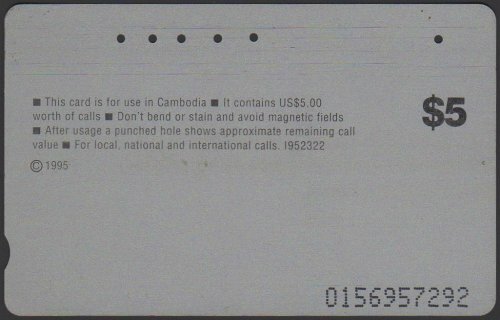 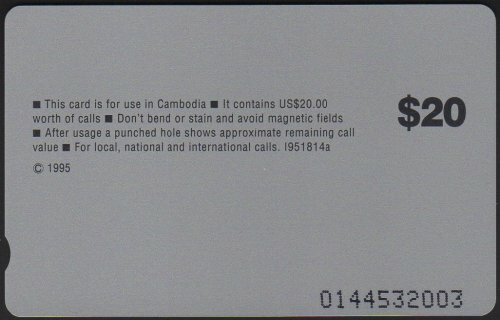 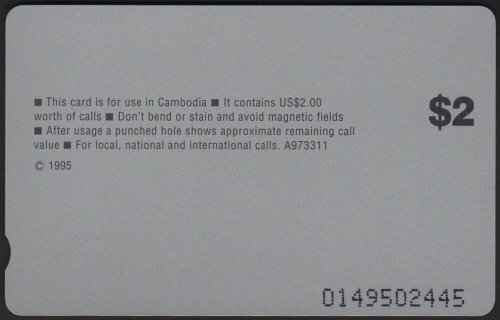 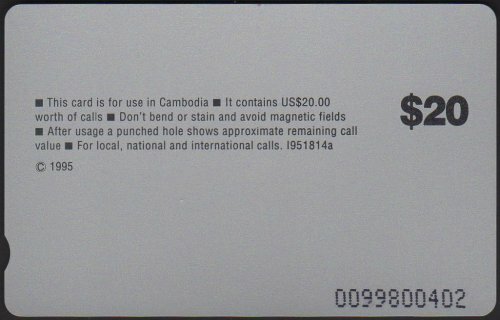 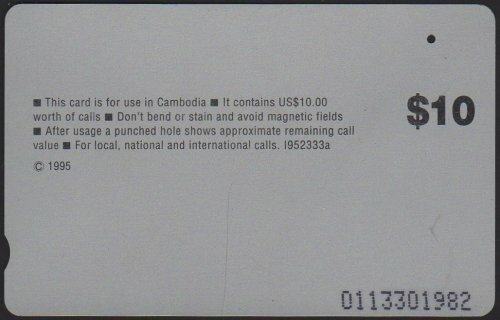 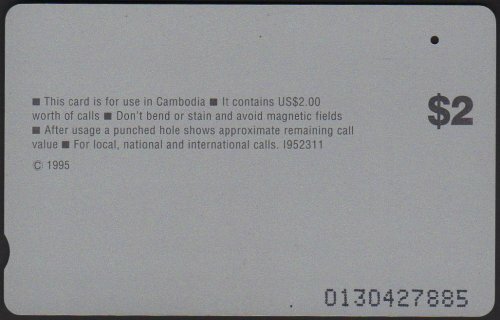 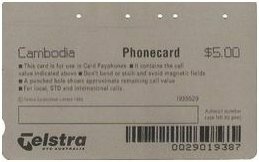 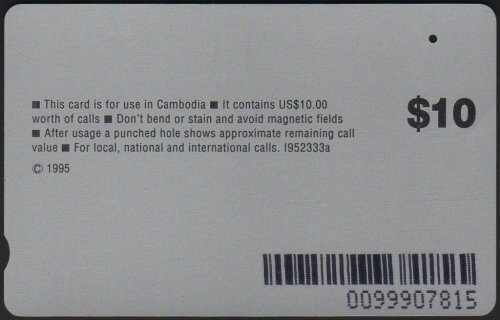 The reverse of the cards also use different fonts, in particular, the $50 and the words Telecom Phonecard. 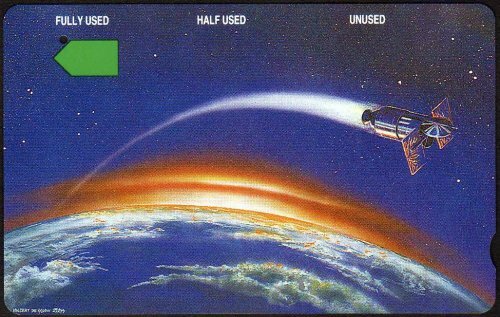 I will try and find a better image. This card was also issued with a blank serial number that is believed to be prefix 1150. If anyone has an actual card with an 1150 prefix printed on it, I would very much like to talk to you. As an International Card, the Code Number of this card should have started with an "I".